There are so many great ways to have fun in the snow! Here are some fun outdoor winter date ideas that are great for all ages. Remember, you’re never too old to build a snowman! Outdoor Skating Rink: Growing up, we had a skating rink right across the street from our house and we used to go out there daily. Check the local listings in your city for outdoor rink locations in your area. Hockey: If your date loves hockey, you could pick up a couple of sticks and a puck and play a friendly game of hockey at an outdoor skating rink. Tobogganing : You’re never too old for tobogganing! At least that’s why my husband tells me. Cross-country skiing: Check your local listings for a company that rents skis and they can also likely tell you where there are trails around the city. Downhill skiing: If there is a ski resort nearby, you could make a fun weekend out of this activity! Snowshoeing: I’ve never tried snowshoeing but my husband says it’s fun – I’ll take his word on that. Ice fishing: I have tried ice fishing once in Northern Manitoba with my husband’s family. If you have the right equipment, you can even manage to stay warm! Outdoor Light or Ice Festival: Does your city (or one closeby) have a winter festival? You could make a day trip out of it! Snowmobiling: You likely don’t own a snowmobile but perhaps you could find a place that rents them or a friend that would let you borrow one for a day. Horse Carriage Ride: Is there a company in or around your city that offers horse carriage rides? There is nothing more romantic in the winter than this! Be a Kid for the Day: Enjoy some fun snow activities that you used to play as a child like building a snowman, having a snowball fight or making snow angels. Curling: Have you ever tried curling? It’s actually much more difficult than it looks! Find an indoor curling rink that offers lessons and start to learn the sport together. You can then practice on an outdoor rink in your area. What are your favorite outdoor winter date ideas? How many of these winter date ideas have you tried? 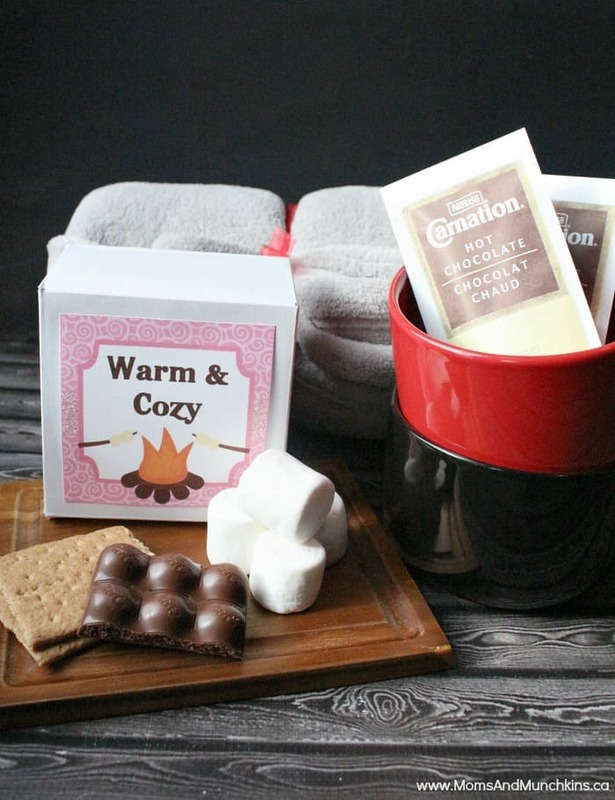 Once you get inside, you can get warm & cozy with a blanket, indoor s’mores kit and hot chocolate. You’ll find the free printable here. For even more date ideas plus FREE printables, visit our special Date Night page! Stay updated on the latest activity ideas for all ages by joining our communities on Facebook, Twitter, and Pinterest with sneak peeks on Instagram.